Frozen Conflict went live on Kindle at midnight. It’s also been available in paperback for a few days now; I approved the proof a little early. 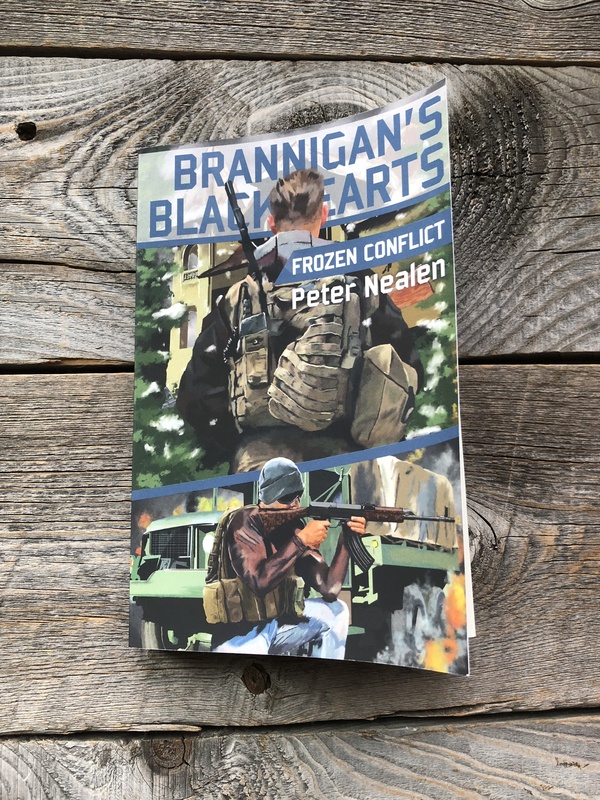 The plus side of that is that the Kindle and Paperback pages were linked by yesterday, so I don’t have to pester KDP about it, like I had to with the last two Brannigan’s Blackhearts books. Transnistria. A breakaway republic on the eastern border of Moldova, and a bolt-hole for notorious black-market arms dealer Eugen Codreanu. Except that it’s suddenly turned from safe haven to prison for the man who was once rumored to be dealing in ex-Soviet backpack nukes. A shadow facilitator reaches out to John Brannigan, former Marine Colonel turned mercenary. The job: get Codreanu out of Transnistria, out from under the noses of the thousands of Russian peacekeepers swarming around the breakaway republic. The hook: Codreanu might have information about the terrorist operation in the Gulf of Mexico a few months before. The catch: there might be someone else trying to beat them to the punch. The terrorists who seized the Tourmaline-Delta platform in the Gulf of Mexico might be trying to tie up loose ends. And firefights in Transnistria could have wide-ranging consequences. It’s a race against time in Eastern Europe. And Brannigan’s Blackhearts might be going up against the Russian Bear to accomplish this mission. This one was fun to write. It certainly follows on from the events of Enemy Unidentified, while mixing things up quite a bit in terms of setting and bad guys. I hadn’t really had a chance to tell a story in Eastern Europe (and in the winter) before. I haven’t been to this corner of USSR when I lived there, but I’d been to many, to use our President’s words, shitholes in that country. Quite a few places in USSR were in this mostly failed condition by the end of the 80’s, even before the country finally fell apart. And I have to say: you’ve managed to convey what one saw and felt in these places very, very well. Very good work. Looking forward to the next one in this series, or any other you have in the pipeline.